For this week's handbag chit chat, I wanted to review an item that belongs to my husband. He bought this Prada card holder last April in Rome and have been using it every single day. I thought it'd be fun to show you the current wear and tear after 1.5 years of heavy use. - The leather still looks brand new. That's one thing I love about saffiano leather. It is pretty much scratch resistant, durable and so easy to clean. 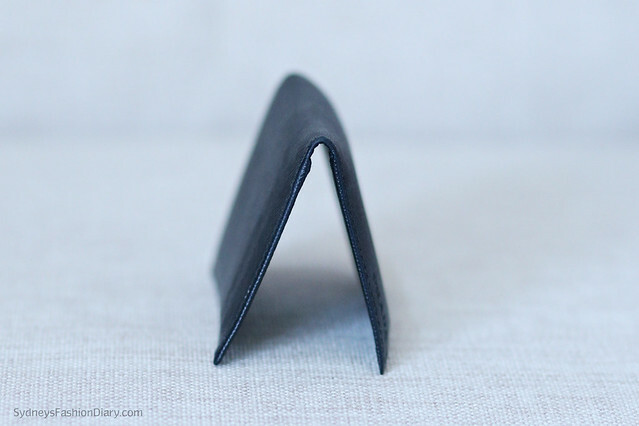 I inspected the wallet carefully and no rubbing or peeling on the corners at all. - Stitches are all intact and there are still no hanging threads. 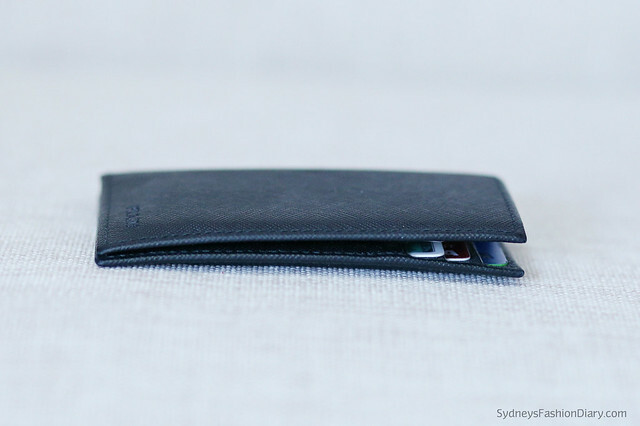 - Since he carries his wallet in his back pocket, it bends and molds to the curves of the credit cards. Overall, the wallet wears really well. Keep in mind that this is his only wallet and he uses every single day. 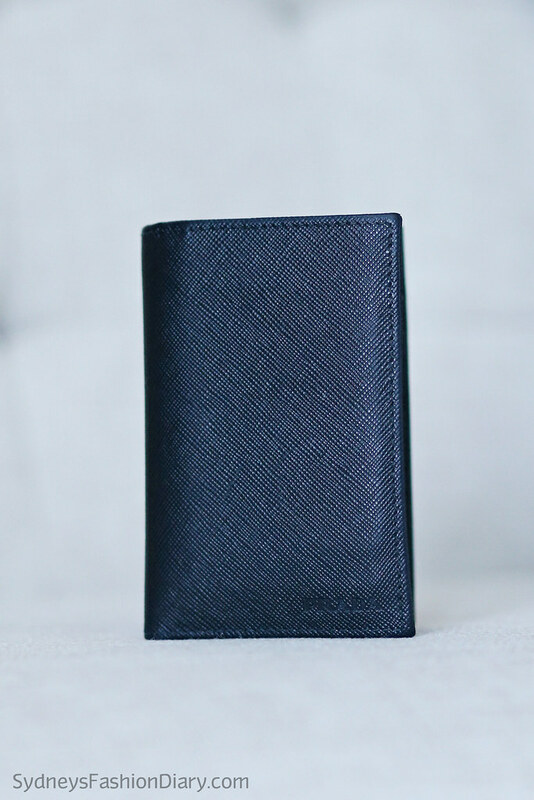 He didn't want a full-size wallet and this compact card case is exactly what he was looking for. I hope you find this post helpful. I personally think it's worth the price tag.